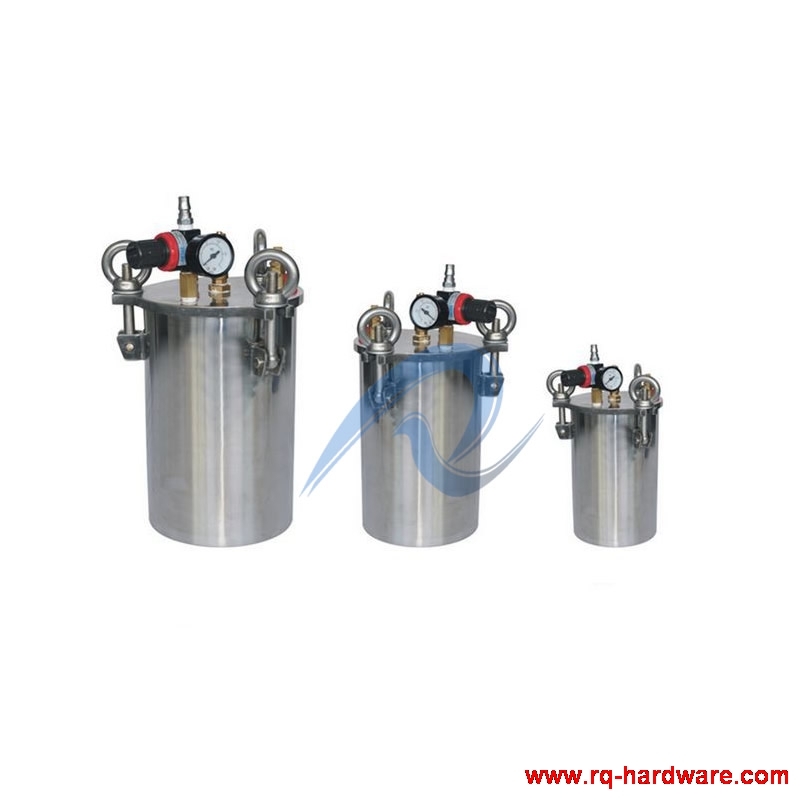 Dispenser Pressure Tank_Wuxi Dobest Hardware Co.,Ltd. 1. The barrel and lid are made of stainless steel taht not easily produce reaction with cemcials and not n deformation. 2. Surface polishing, good sealing, normally in the general liquid. 4. When using, you can put the original package of glue directly into the barrel, without clean finaly and convenient in maintenance.